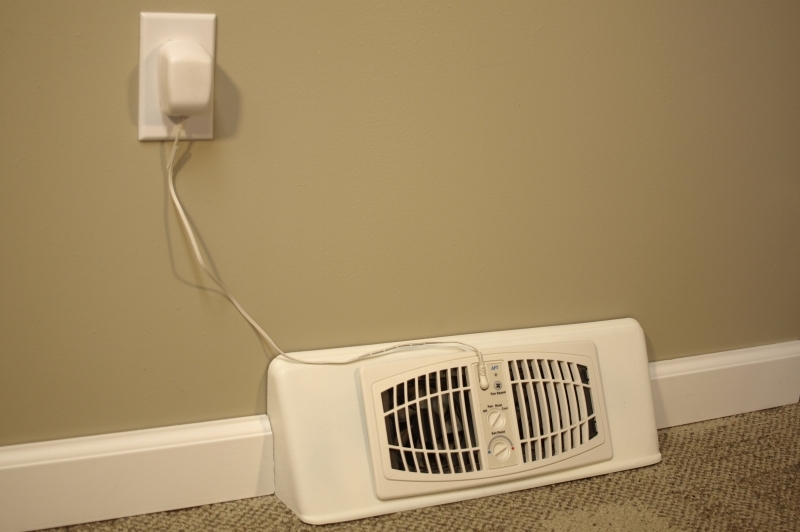 For a limited time, in an exclusive newsletter offer, the AirFlow Breeze baseboard booster fan will be offered with FREE SHIPPING at the aftproducts.com website. Enter FREEFALL10 in the promo box at checkout. Offer good until November 30, 2010. Looking at the illustration above, you can see that the booster fan can be used to move air from one room to another or from one level of the house to another. So if you have a fireplace, wood-burning, corn pellet or electric stove in one room, the AirFlow Breeze can pull the air warmed there into other rooms of the house. That means the temperatures throughout more of the house will be comfortable and you won't have to turn up the thermostat ~ which will save energy and money.